Product prices and availability are accurate as of 2019-04-15 16:32:04 BST and are subject to change. Any price and availability information displayed on http://www.amazon.co.uk/ at the time of purchase will apply to the purchase of this product. Talisker Distillers Edition 2002 Single Malt. 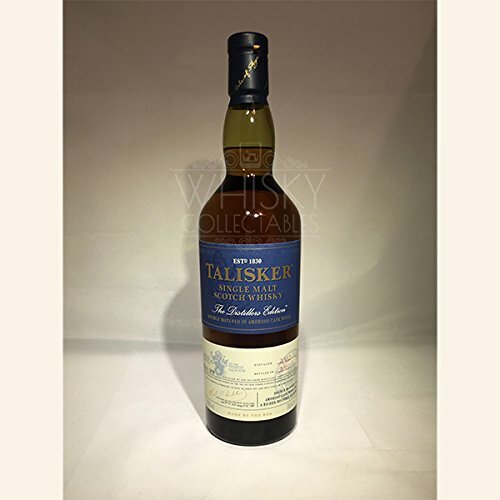 Talister 2002 Distillers Edition is double matured and finished in amoroso to give a smoky, sweet whisky. 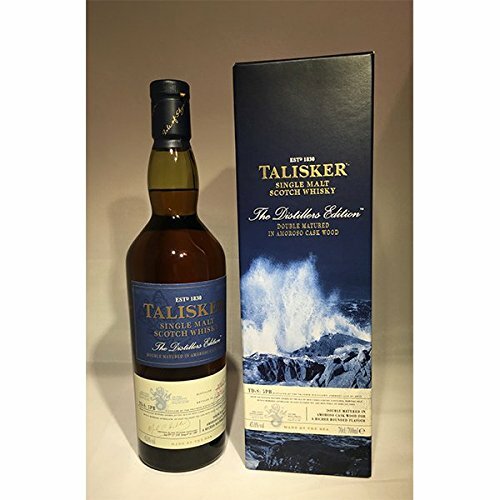 Smoke and spice on the nose with hints of bitter Seville orange marmalade and cracked black pepper. Thick, rich fruit notes on the palate. A mix of marmalade and wood smoke with allspice linseed oil, cracked black pepper and hints of dried herbs. Long spicy finish with black pepper and butterscotch. Full-bodied and wonderful rich.